You pick the size, we pick the print! 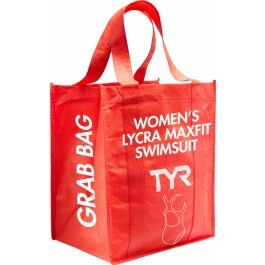 This women's grab bag includes a maxfit LYCRA swimsuit from one of our prior seasonal styles. Each suit is randomly selected and can be a solid or print. Please note all grab bags include one swimsuit. I love this swimsuit. The Maxfit is tight, has good coverage, and stays in place. The lycra material is durable and does not fade. I swim three times a week and I can wear one swimsuit for about six months before it gets too stretched out. But even after six months, the color is just as vibrant as when I bought it! I always go for the grab bag because I know I want this style of suit - I don't mind someone else picking the pattern for me. It's such a great deal. Great swimsuit. Would not have been my number one color choice but the gamble of the grab bag deal was well worth it. great suit, great fit! great price! The Grab Bag is a great deal -- the "we'll choose for you" random patterns were just fine. I like the stretch and full lining of the Maxfit Lycra. I swim for exercise, but not competitively, and the suit is comfortable for swimming. This is my first maxfit suit. I love the way it fits and the way it looks. It fits true to size according to the measurements. I love the surprise of not knowing which print you will get! Q: Will I get the same suit if I order 2 or more grab bags? A: Thank you for your inquiry. Grab Bag selections change fairly regularly. Although the silhouettes may be similar, there is no way to guarantee what suits will ship. Q: If I order more than one, will I get multiples of the same suit or will they be different? A: Thank you for your inquiry. Grab Bag selections change fairly regularly. Although the silhouettes may be similar, there is no way to guarantee the pattern. Q: Are grab bags returnable? A: Thank you for your inquiry. 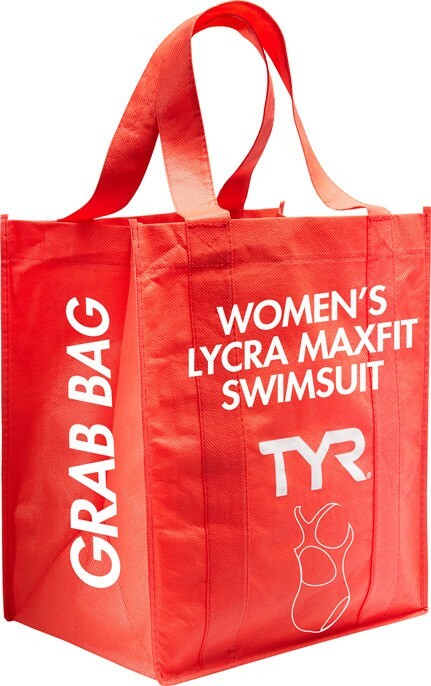 All TYR products are guaranteed. If you are not satisfied for any reason, we will gladly provide a merchandise refund or exchange within 30 days from purchase date. Exchanges and returns must be received in new and unworn condition. All tags and labels must be attached. Q: are the suits padded? if not how can we combat exposure? A: Thank you for your inquiry. 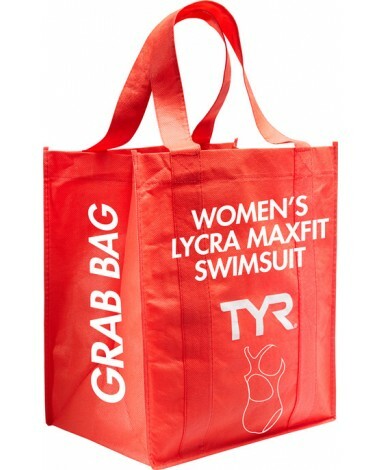 Our Women's Grab Bag Maxfit Lycra Swimsuits do not have built-in bra cups as they are training suits. However, they do have a layer of lining (front and back) to combat transparency concerns. Q: Is there chest padding for this suit? If not, are there any options to minimise exposure? A: Thank you for your inquiry. Unfortunately this suit does not offer padding. If you are looking for a suit with padding, I would recommend a suit from our Fitness Line.